Exercise needs to be a way of life. 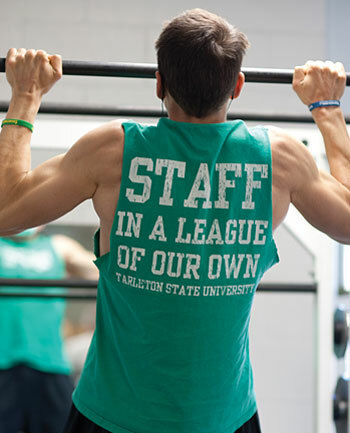 We believe in motivating our members and giving them the tools to begin or continue a lifestyle of fitness. The benefits of exercise are limitless. Is your goal to get healthier, feel better and stronger, lose weight, reduce stress, or become more flexible? By joining The Gym at Peachtree and getting into an exercise regimen, you can experience the benefits of exercise in a non-intimidating, friendly atmosphere where our goal is to help you achieve your fitness goals! Come try The Gym at Peachtree to experience the gym where you fit in! A team led by Jan who are committed to help you achieve your goals! Contact Jan for an appointment to establish a workout strategy. We’ll help you find the right classes and help you set a time to meet one of our personal trainers for your complimentary orientation to the cardio/weight room. "You have the BEST instructors in town." "I love the variety in the Cardio Weight Room." "I love it that the Gym is always so clean." "The Front Desk folks are so friendly! Actually, everyone here is!"